It’s Christmas in July! Seen only occasionally on eBay, this Wade China plate was made in the UK sometime in the 50s and is a rare find indeed! 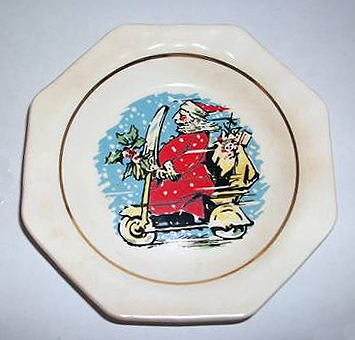 This entry was posted in Decor, Holiday and tagged christmas, plate, santa, scooter, vespa, wade china by Tracy. Bookmark the permalink.